An education degree for their future and yours. The Teachers College at Western Governors University is granted accreditation at the initial-licensure level from CAEP, the Council for the Accreditation of Educator Preparation, 1140 19th St NW, Suite 400 Washington, DC 20036 (202) 223-0077. CAEP is the only recognized national accreditor for educator preparation. WGU is the first competency-based online university to receive CAEP accreditation for its degree programs that lead to teacher licensure. Teaching degrees recognized in all 50 states. You have a calling—to help students get the most out of their education. Make sure you get the most out of yours. Earn a teaching degree for about half what you’d pay at other online universities. Our student obsession means you get flexibility, affordability, quality, and personalized support. 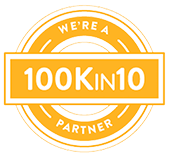 WGU leads the nation in producing STEM teachers—and as a member of 100Kin10, that focus remains strong. Considering a career in the classroom. Teachers are role models who truly make a difference to their young students. But teaching is much more than helping kids learn to read and do math. Teachers change lives, and it takes a special kind of person to be an outstanding teacher. 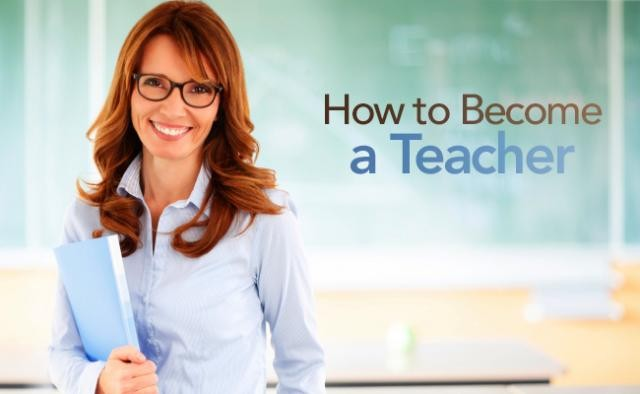 Is teaching the right career for you? Find out! Time: 79% of grads earned this degree in 6–25 months. Tuition and fees: $3,385 per 6-month term. Help schools create courses of study that are engaging, meaningful, and memorable, that enhance student performance, and that factor in classroom diversity with this M.S. degree. An online master's degree for current teachers looking to further their careers with a focus on K–12 special education (teaching students with mild to moderate disabilities). Time: 73% of grads earned this degree in 9–26 months. Find a rewarding career teaching students with diverse challenges and special learning abilities with this education master's degree. An online master's degree for current teachers looking to move into a school or district leadership position, like principal, vice principal, or administrator. Time: 78% of grads earned this degree in 12–22 months. Other courses, including a capstone project and a series of performance tasks to take place under the leadership of a practicing state licensed school principal or assistant principal in a practicum school site (K–12). Put your leadership skills to good use—in the service of America's children—with this education master's degree. *States that do not accept this program: Alabama, Connecticut, Georgia, Hawaii, Illinois, Iowa, Kansas, Kentucky, and Minnesota. An online master's degree for current teachers who want to specialize in teaching science to middle school students. Available in all states that offer a middle-grades general science endorsement. Tuition and fees: $3,385 per 6-month term, plus a one-time fee of $350 to cover the cost of an at-home science lab. Propel your career as a middle school or junior high science teacher with this M.A. degree. An online master's degree for current teachers who want to specialize in teaching biology to middle or high school students. Time: 71% of grads earned this degree in 6–19 months. Propel your career as a junior high or high school biology teacher with this education master's degree. An online master's degree for current teachers who want to specialize in teaching chemistry to middle or high school students. Time: 74% of grads earned this degree in 6–24 months. Propel your career as a junior high or high school chemistry teacher with this education master's degree. An online master's degree for current teachers who want to specialize in teaching physics to middle or high school students. Time: 81% of grads earned this degree in 6–24 months. Propel your career as a junior high or high school physics teacher with this education master's degree. An online master's degree for current teachers who want to specialize in teaching earth science to middle or high school students. Time: 73% of grads earned this degree in 6–24 months. Propel your career as a junior high or high school geoscience teacher with this education master's degree. An online master's degree for current teachers who want to specialize in teaching math to elementary school students. Time: 78% of grads earned this degree in 6–24 months. Focus your teaching passion on instilling in elementary-age students a love of math with this education master's degree. An online master's degree for current teachers who want to specialize in teaching math to middle school students. Available in states that offer a middle-grades math teaching endorsement. Focus your teaching passion on instilling in junior high students a love of math with this education master's degree. An online master's degree for current teachers who want to specialize in teaching math to middle and high school students. Focus your teaching passion on instilling in junior high or high school students a love of math with this education master's degree. An online master's degree for current teachers whose next career goal includes a focus on teaching in ELL or ESL settings. Time: 74% of grads earned this degree in 6–25 months. Other courses, including a field experience in a K–12 classroom that serves English language learners. Grow your teaching career on a commitment to ensuring language barriers don't become a barrier to learning with this education master's degree. Time: 77% of grads earned this degree in 6–24 months. Harness the power of technology to teach more kids in better ways with this education master's degree. Time: 79% of grads earned this degree in 6–24 months. Raise the bar on K–12 education. Learn to build better curriculum with this education master's degree. An online program for currently licensed elementary and secondary school teachers who desire to be licensed to teach in ELL or ESL settings. Become highly qualified in ELL or ESL, increase your career opportunities, earn re-licensure points, and possibly become eligible for lane changes leading to increased salary. Time: 83% of grads finish in 6–20 months. Advance your teaching career and help ensure language barriers don't become a barrier to learning. An online program for those with master’s degrees to become a principal, vice principal, or associate principal. This program is designed for currently licensed teachers who desire to become licensed as a school principal. Time: 67% of grads finish in 12–22 months. Advance your career in education as a principal or vice principal with this online endorsement-prep program. *This program is not available in the following states: Alabama, California, Connecticut, Delaware, Georgia, Hawaii, Illinois, Iowa, Kansas, Kentucky, Louisiana, Michigan, Minnesota, Missouri, Mississippi, New Hampshire, North Carolina, North Dakota, and South Dakota. Consider the M.S. Educational Leadership program instead. Start exploring your degree options by looking at a few of our programs in highest demand. Leads to licensure for elementary education. For current teachers or non-teachers not seeking a teaching license. WGU Loves Teachers Scholarship. Apply by June 30. Teachers change lives—they inspire, encourage, and shape future generations. In honor of this important work, WGU would like to give back. 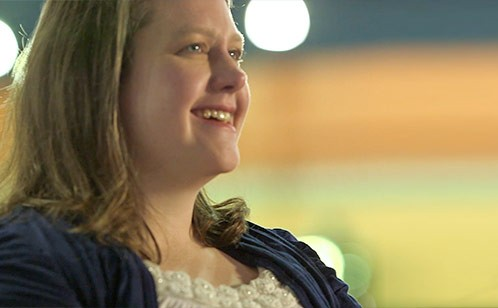 Whether you’re an aspiring teacher or have been in the classroom for years, WGU encourages teachers everywhere to change their lives through education. 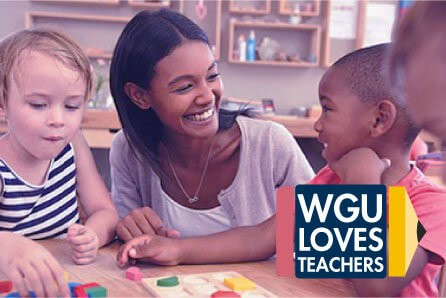 Apply for the exclusive $2,500 WGU Loves Teachers Scholarship! WGU's Teachers College is accredited by the Council for the Accreditation of Educator Preparation (CAEP), the only recognized national accreditor for educator preparation. Paired with WGU's accreditation by the Northwest Commission on Colleges and Universities (NWCCU), you can be assured your teaching degree from WGU will be highly respected. 95% of employers rate the teaching skills of WGU Teacher College graduates as good as, or better than, graduates of other institutions. Our graduates include recipients of many awards and grants, such as: Top 10 Innovative Teachers in the Nation by the Henry Ford Innovation Nation, Claes Nobel Educator of Distinction Award, Milken Family Foundation National Educator Award, Association of Public Charter Schools Educator of the Year Award. In 2017, the National Council on Teacher Quality (NCTQ) placed WGU's Teachers College in the top 1% nationwide for the quality of its secondary teacher-preparation programs. This follows several other NCTQ recognitions, including the nation's #1 best value for teacher education in 2015. "Don't stand in my way." Brittany Pierce wanted to be pushed beyond what she knew from years of teaching. She came to WGU prepared to work hard, using the ability to accelerate through her program to her advantage, and graduated in 11 months. Brittany talks about using lessons from her coursework in the M.A. Science Education program in her own classroom the very next day, and she says completing her program quickly took focus and self-motivation. What we see in Brittany is what we see in all WGU Night Owls: passion, persistence, and commitment to achieve a goal. We consistently evaluate ourselves, based on the performance of graduates of the Teachers College. The faculty supporting our Teachers College students and programs comprises richly experienced teachers, administrators, and specialty educators. WGU faculty members understand the K–12 education field—its challenges and opportunities. Their student obsession is second to none, with a singular focus on helping to develop stellar educators. 1 NCTQ's annual Teacher Prep Review, 2017.